Bratislava Declaration. Bratislava, Slovakia, August 3, 1968. 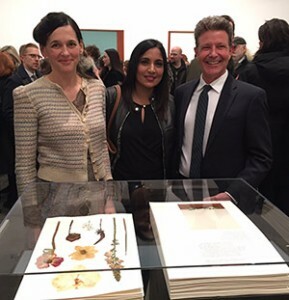 Chelsea’s powerhouse Gagosian Gallery is not the most likely place you’d find pressed herbarium specimens. 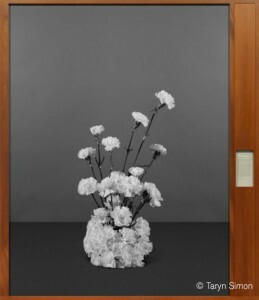 But that’s exactly what you’ll see there as part of the gallery’s current show by multidisciplinary artist Taryn Simon. In “Paperwork and the Will of Capital,” Simon recreates and photographs the elaborate centerpieces that sat between powerful men as they signed agreements designed to change the world. Preparing the exhibition, Simon worked with Daniel Atha, NYBG botanist and Conservation Program Manager, and Sheranza Alli, NYBG Senior Museum Preparator and Herbarium Aid, who teach a Plant Collection and Preservation Workshop at the Garden. When Taryn Simon reached out to NYBG in the fall of 2014 for a botanist, Atha—the son of artists—jumped at the chance. “I was intrigued by the potential to explore the ways science and art interact in society, as well as interactions between scientists and artists,” Atha explained. Agreement Establishing the International Islamic Trade Finance Corporation. Al-Bayan Palace, Kuwait City, Kuwait, May 30, 2006. Hours after Atha’s interview with Simon, the studio called him to begin work identifying plants. First came the historical photographs, 36 in all: The Bratislava Declaration in Slovakia in 1968, a 2014 agreement between Cambodia and Australia regarding refugee settlement, a nuclear cooperation agreement between France and Iraq in 1975, and a 1994 accord that internationalized intellectual-property rights, to name a few. Working with the photos was very different from how scientists identify plants. With the painstaking flower identification complete, Simon’s studio ordered flowers from the Netherlands, which were then shipped to New York, where Alli worked with Simon to create herbarium specimens from each cultivar. These became the floral “sculptures” on display in Simon’s exhibition. 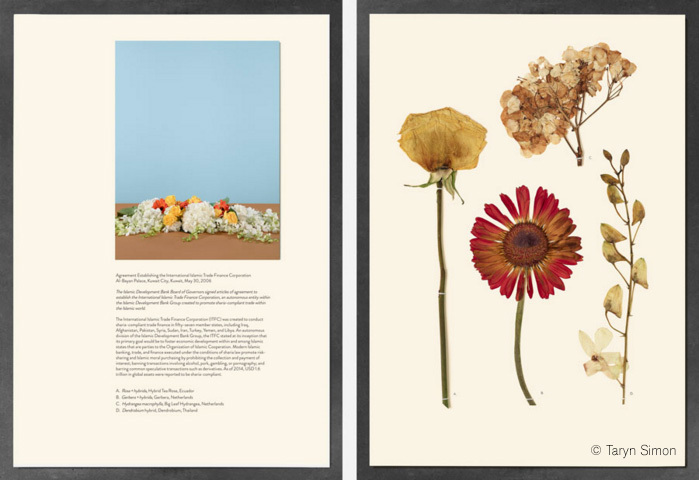 The specimens, combined with Simon’s 7-foot by 6-foot photographs of her recreated floral arrangements, create a sense of permanence, an admirable quality in Atha’s eyes. 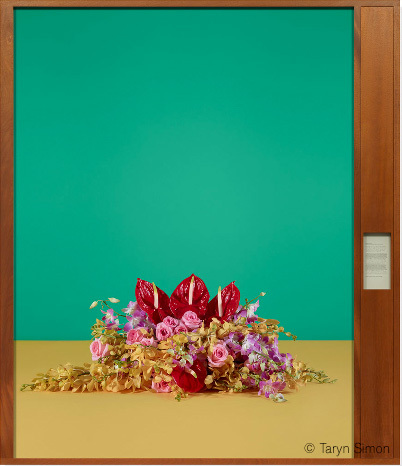 In addition to the exciting prospect of permanence, Atha noticed a similarity in each arrangement and flower he identified: the universality of the global floral design trade. “I thought there would be more variation from country to country, but I was surprised to see the consistency in plant material used for ceremonial bouquets around the world,” he said. Overall, Atha looks forward to seeing how the public reacts to the exhibition at the Gagosian. If you are interested in learning how to collect and preserve your own plant specimens for artistic display, sign up for Atha and Alli’s upcoming Plant Collection and Preservation Workshop, starting April 7, and build your own set of beautiful “floral sculptures” to take home. Paperwork and the Will of Capital is on exhibit now through March 26 at Gagosian Gallery, 555 West 24th Street in New York.